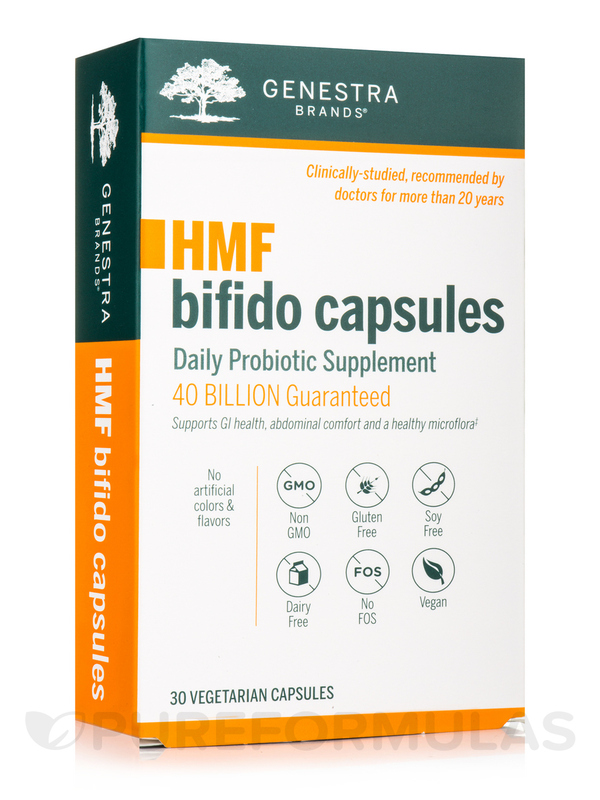 HMF Bifido Capsules offer six proprietary Bifidobacteria strains to support probiotic colonization in the large intestine. 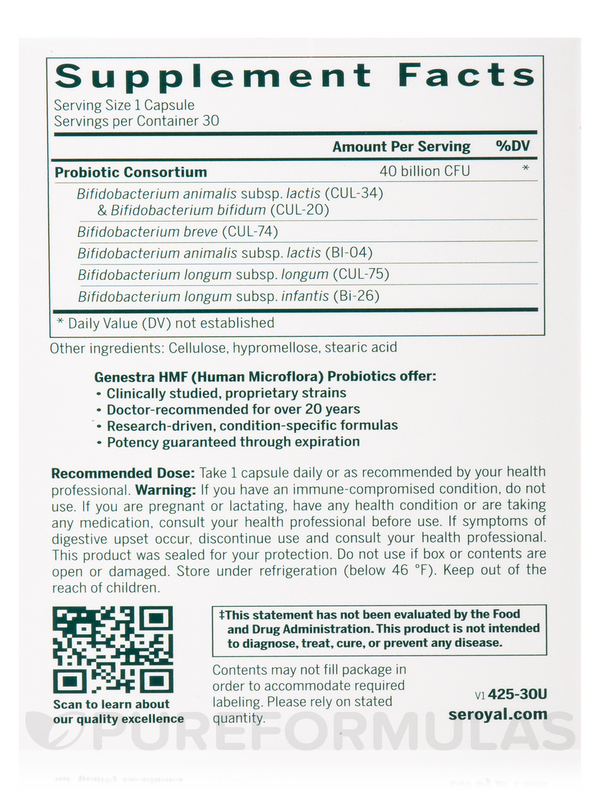 Bifidobacteria are normally present in the gut from birth to old age‚ where they play an important role in gastrointestinal health. 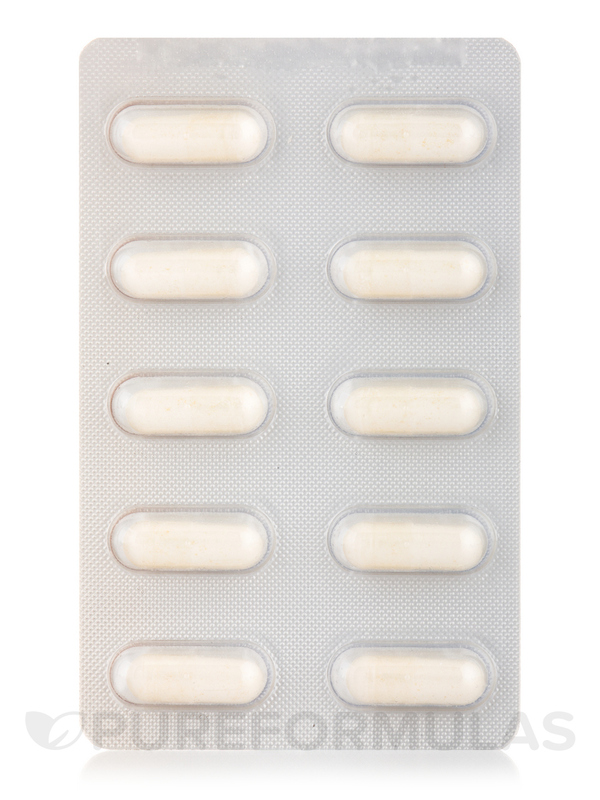 Bifidobacteria help to mediate carbohydrate fermentation in the large intestine and contribute to the production of important short-chain fatty acids (SCFAs)‚ including acetate and lactate. 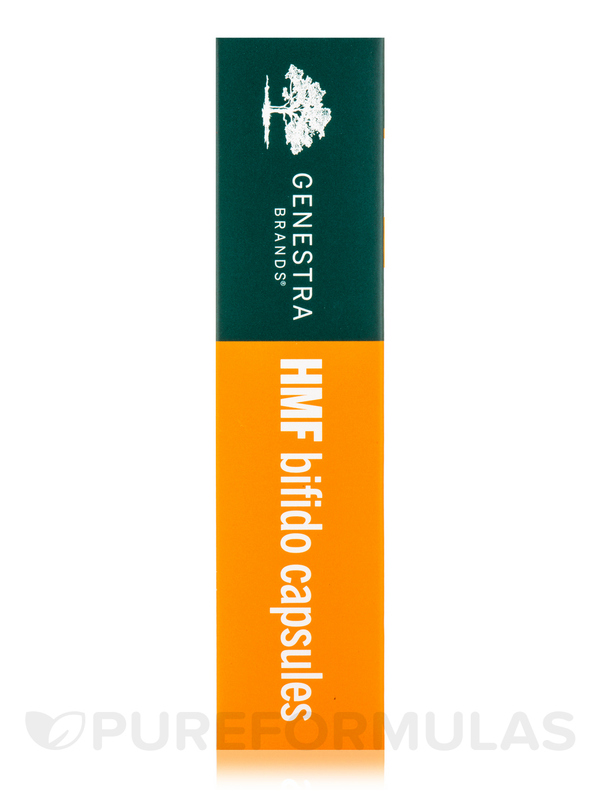 Although they are the most abundant genus present in the guts of healthy infants‚ Bifidobacteria concentrations decrease as individuals age‚ with greatest declines observed in the elderly. 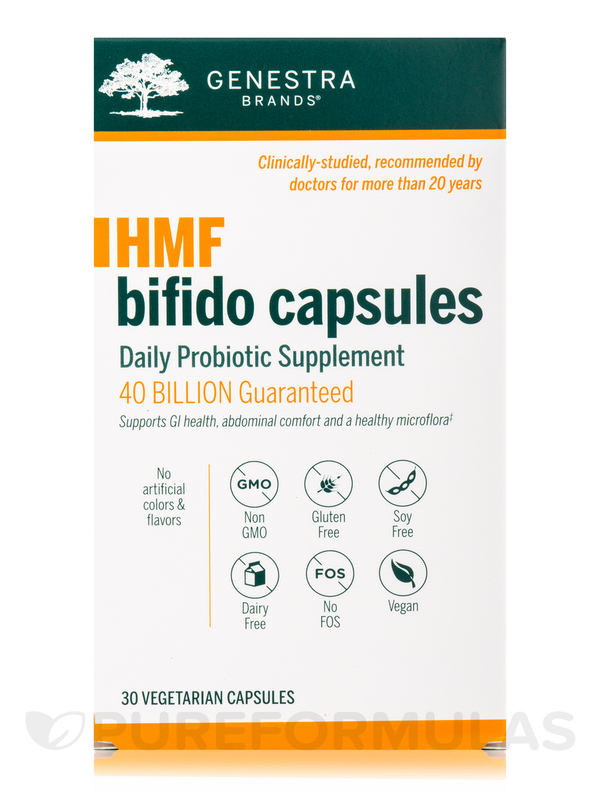 Clinical research suggests that Bifidobacteria supplementation can promote a healthy gut flora composition‚ support gastrointestinal comfort‚ and may have a particular role in maintaining immune function. 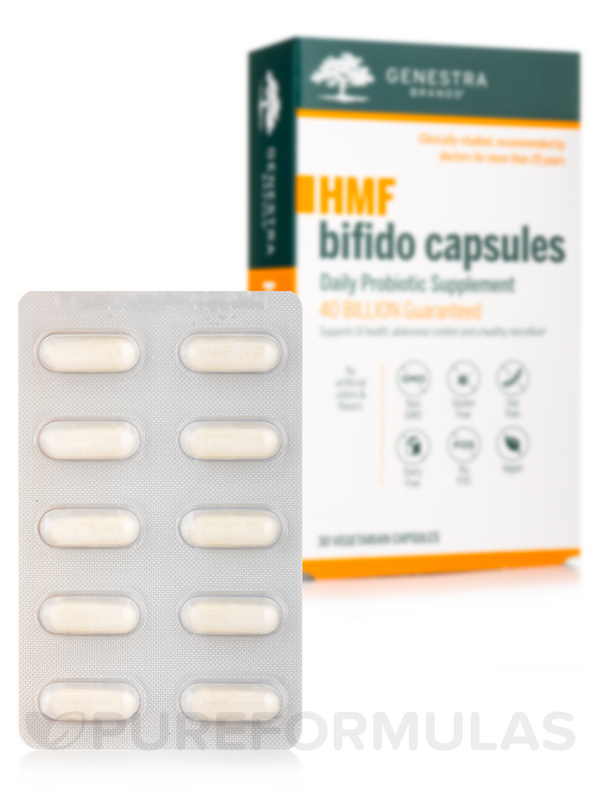 HMF Bifido Capsules provide highly researched probiotic strains such as Bl-04‚ CUL-34 and CUL-20‚ which have been demonstrated in clinical trials to contribute to gastrointestinal and immune health. 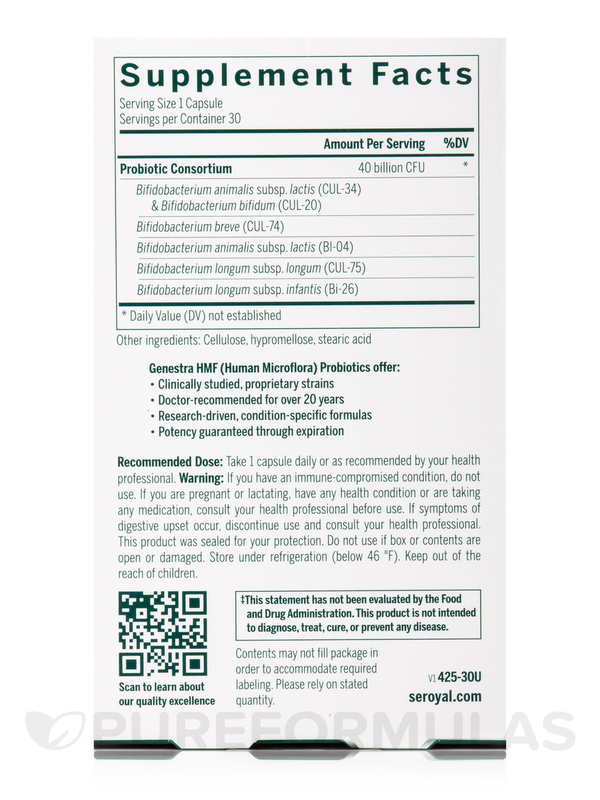 Other Ingredients: Cellulose‚ hypromellose‚ stearic acid. 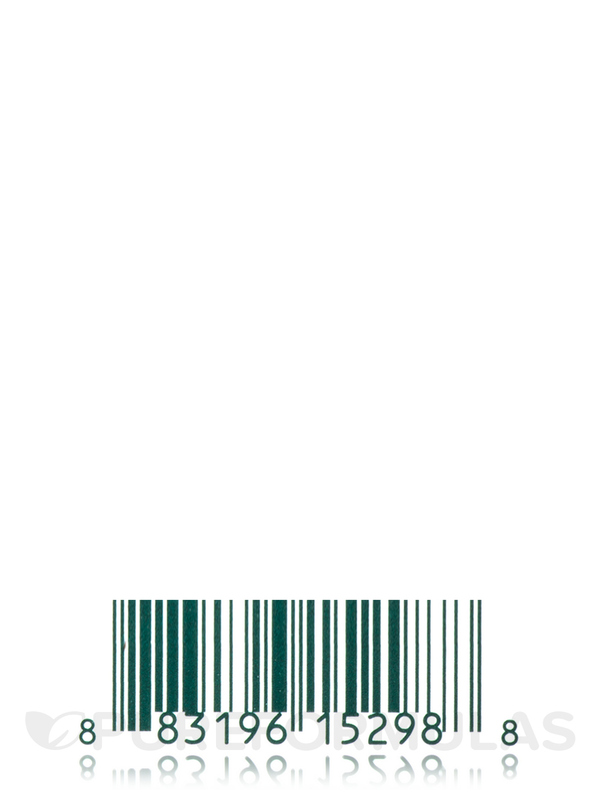 This product was sealed for your protection. 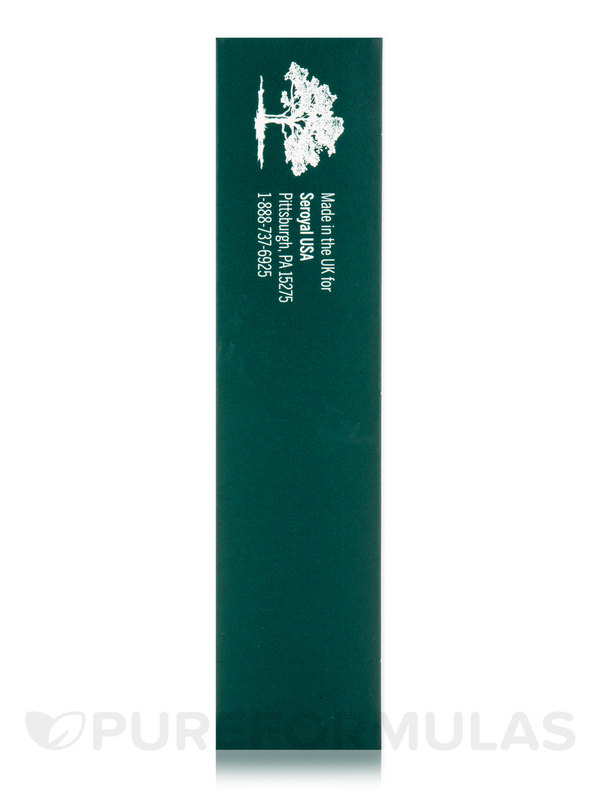 Do not use if box or contents are open or damaged.